At the production forefront of various P.E.T. bottles and wide mouth Plastic Jar, Young Shang Plastic industry Co., Ltd. earns good reputations and comments on our high quality plastic products, such as Aluminum Easy Open Ends, Water Dispenser, Plastic Mold, Plastic Jar, Wide Mouth Jar, PET Preform, PET / PVC / PS Container, and other Plastic Container. We owns advanced production technologies and fashioned equipments including latest generations of nissei ASB injection-stretch-blow molding machines and two stage blowing machines. Extending to the world wide markets, Young Shang supplies variety of Plastic Container and other related products. 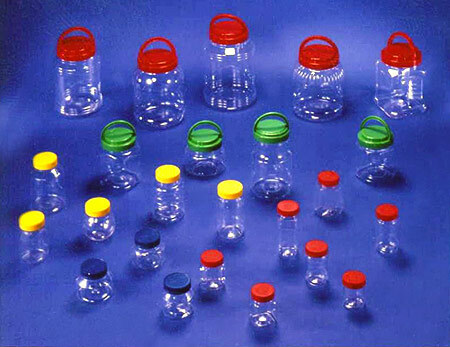 We offer you high quality clear Plastic Container, which are produced with over 200 sizes ranged from 15cc to 5 gallon, and preforms, which are ranged from 28mm 180mm for two stage blowing machines. We also provide PET Blow Molds, Plastic Mold, Injection Molds, PET Preform, and Semi-auto Double Seaming Machines. To fine more about our products detailed information, please come to our showroom and Contact Us Today! Our know-how will answer to all your needs!